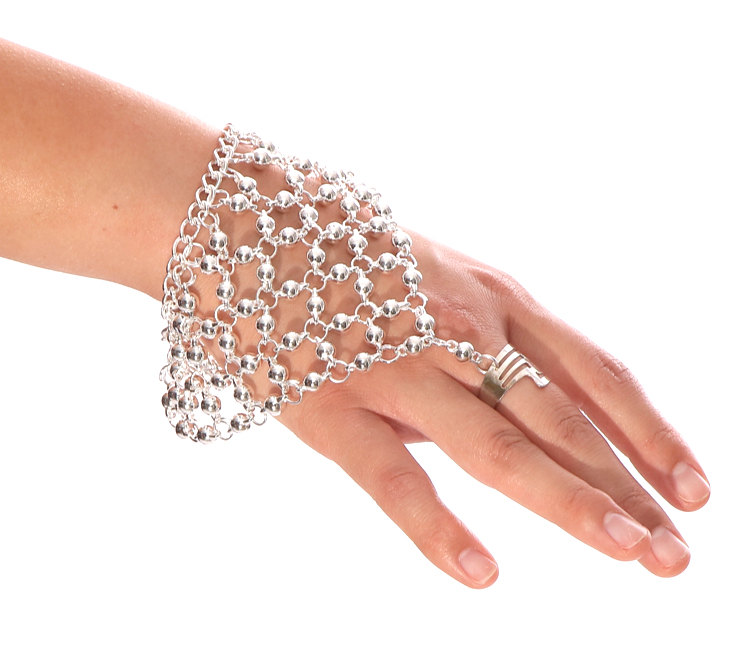 Add a dramatic accent to your belly dance costume with this metal beaded slave bracelet. Great for all styles of belly dance and other costuming. Add an exotic accent to your cabaret or fusion belly dance costume, or Gothic, Halloween, or cosplay costume with this unique metal silver-tone beaded slave bracelet. Great for stage, parties, or even club wear! Bracelet portion approximately 10 inches end to end.